And what have you done? For me, 2011 was the year of organisation. Mr Fork had proposed and I was busy, busy, busy organising our weddings. Which I'm pleased to say went off without any major hitches. Actually they were both great events and I can honestly say that I had a lot of fun. How many brides can say that they actually had fun at their weddings? My face didn't crack from too much smiling, no family meltdowns occured, I didn't spill food on my dress. An all round success I'd say! 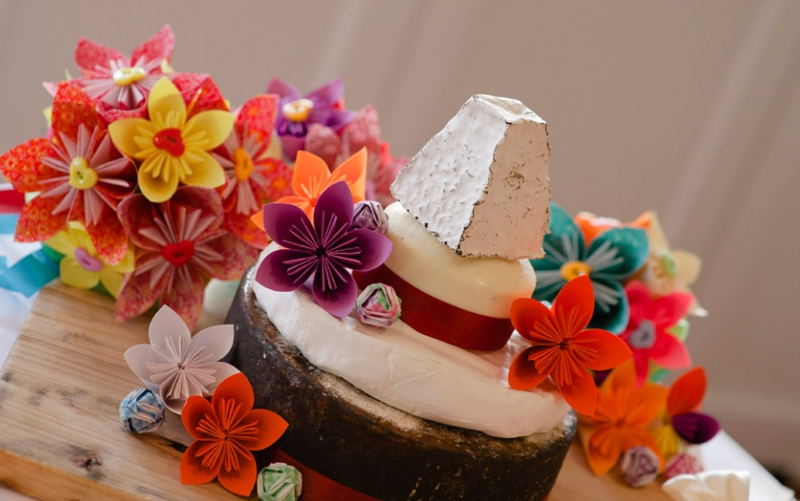 The origami bouquets were a bit of a hit, as was the cheese 'cake', which we're still working our way through at the moment come to think of it! What does 2012 hold? I can't say for sure yet. There's some weddings to attend, some conferences to go to, new clients to meet and maybe even some work related travel to foreign locations. What I do know is that I'm going to embreace it all with open arms and sieze the opportunities. Mr Fork and I will probably do some more garden work around the house, and focus on our changed relationship status. Not that anything much as changed, married life seems pretty much the same as non married life as far as I can see.